Currently, two legs of the relay are done and the list of things that have gone wrong is respectably short. No one was eaten by an alligator (yet), although two runners took wrong turns which added an hour to our overall time. But when you think of what could have gone wrong (see alligators, above) it is not so bad. That is not to say alligators didn’t play a part in the evening. Supposedly the vague grunting/croaking sounds I heard on my run were alligators. Or maybe these girls are yanking my chain. Or perhaps they were loud, out of shape runners trying to sneak up on me. Some runners claim they sighted gator eyes peering at them in the darkness. I was too scared to look. There was, however, a hog sighting – an enormous wild boar, shot by boar hunters. I did not know there were boar hunters in south Florida, but there were. Heck, there is probably a reality show on cable about them. The scariest moments came at the hands of Fido and Cujo. There were, as expected, lots of barking dogs in front yards. What was not expected was a pack of wild dogs, 6-8 of them, roaming the streets in the dark of night at 4 in the morning. Quite an intimidating sight. Fortunately our van and another team’s van were nearby to help scare them off. We did encounter several strange people, but not the ladies of the evening or ex-cons that you might expect to find at 3 AM. Instead we saw Elvis, a guy in a kilt, and two guys in fat-suits. And the night isn’t even over yet. « What Have I Gotten Myself Into? Keep up the good work, Sue! 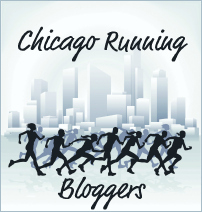 Reading your S2S blogs make me excited for the Great Lakes Relay this summer!